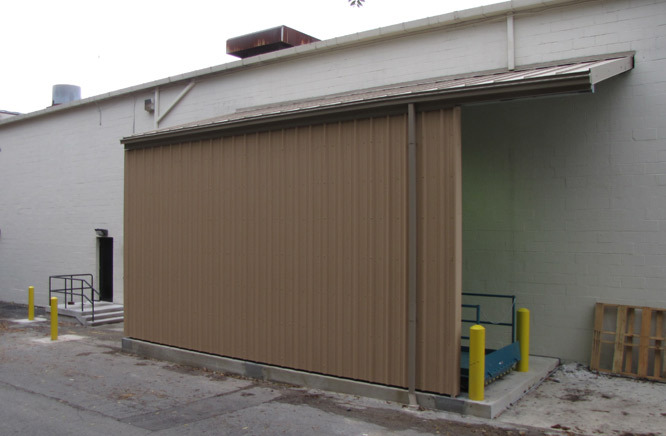 This was a small enclousure for the loading dock area. Provided protection from the elements while off loading goods into the new store. The structural Steel was completed by Morning Star Welding, metal panels were provided by Corle Buildings, and erection was completed by DRHCI.